Studying or working abroad can be a life-transforming experience, whether it’s a temporary trip or a permanent move. If you’re a medical professional, there are many opportunities for you to put your skills to work in another country, from working at a foreign hospital to joining the military. Depending on which route you go, you may have to pass an additional licensing exam so you are certified to practice in whatever country you are going to work in, so don’t start packing your medical bag quite yet. This isn’t necessary for short volunteer trips or those working for the military (in the military, your medical license allows you to practice anywhere), but it will be required if you’re going to work for a foreign hospital or government agency. And whatever option you choose, knowing the local language is always helpful for anyone going overseas. The Centers for Disease Control and Prevention (CDC) may be a U.S. government agency, but it does offer global health opportunities for U.S. citizens looking to work abroad. The CDC provides several different avenues for staff to work overseas: career civil service, U.S. Public Health Service Commissioned Corps, contracts and fellowships or internships. The Commissioned Corps is a uniformed nonmilitary service that employs officers in 11 disciplines: dentistry, diet and nutrition, engineering, health service, nursing, pharmacy, physician practice, sanitation, science and research, therapy and veterinarian medicine. For medical students and recent graduates looking for a less permanent experience abroad, the CDC also offers internships and fellowships. Similar to the CDC, health-focused government agencies in other countries are also in need of medical professionals. For example, many U.S. doctors find themselves drawn to the U.K., where the National Health Service (NHS) provides free healthcare at the point of use across England, Scotland, Wales and Northern Ireland. In fact, the NHS offers guidance on working in the U.K. for non-U.K. doctors. Not every country has a government agency that oversees care on that scale, so research what countries you’d like to live in to see if this is an option. Just as there are staffing firms for other types of jobs, there are recruiting companies that solely focus on medical providers. For instance, International Medical Recruiting helps place doctors in a wide range of specialties and seniorities across Australia and New Zealand. Different staffing firms focus on different medical professions (nurses, general practitioners, etc.) as well as different countries, and there are many options out there: Google “recruiting agency” alongside your desired positions and country to bring up a whole list of options. Large hospitals and medical centers have recruiters just like government agencies and foreign countries do. If there’s a particularly renowned hospital you’d like to work at, you can look up the recruiter for your specialty and reach out directly about opportunities for workers from outside the country. If the facility is large enough, it probably has its own public-facing job board that you can review regularly for open positions that might fit your skills and experience. Making a humanitarian aid trip to another country is a great way to provide much-needed medical care abroad without having to abandon your practice at home. Probably the best-known international medical non-governmental organization is Médecins Sans Frontières (MSF), known in English as Doctors Without Borders. MSF has offices in 28 countries, and its medical personnel provided 9,792,200 patient consultations in 2016, according to the website. Doctors Without Borders is far from the only organization to offer international medical and disaster relief, and there are many other NGOs, religious organizations and even hospitals that coordinate such volunteer trips. Be sure to talk to your supervisor about time-off policies before committing to participate in a trip. The United States military offers overseas opportunities for medical professionals, whether you’re a full-time active-duty officer or a part-time reserve officer also working in the civilian world. Missions take three forms: military medical facilities, deployments and humanitarian relief in the wake of natural disasters. All three of these missions offer the opportunity to work in another country. Most U.S. military medical facilities are based in the U.S., but the military does maintain bases in countries such as Germany, Japan and Peru as well. For deployments and humanitarian missions, you’ll be sent where the need is greatest, which often takes service members around the world. The growing world of telemedicine offers a chance for you to consult on international cases — without leaving the country. While telemedicine is still developing and much of its potential remains untapped, doctors and other medical professionals are already exploring its capacity to unite healthcare providers half a world away. In fact, in 2012 the chief of cardiology at the University of California at Davis was able to consult on a cardiology patient at Shanghai East International Medical Center in China. The doctor accomplished this by utilizing a telemedicine robot with a video screen and instruments such as an ophthalmoscope and stethoscope. The possibilities of telemedicine will only continue to expand as the technology matures, opening new ways to care for patients both stateside and overseas. As a medical professional, you are uniquely poised to help others around the world. 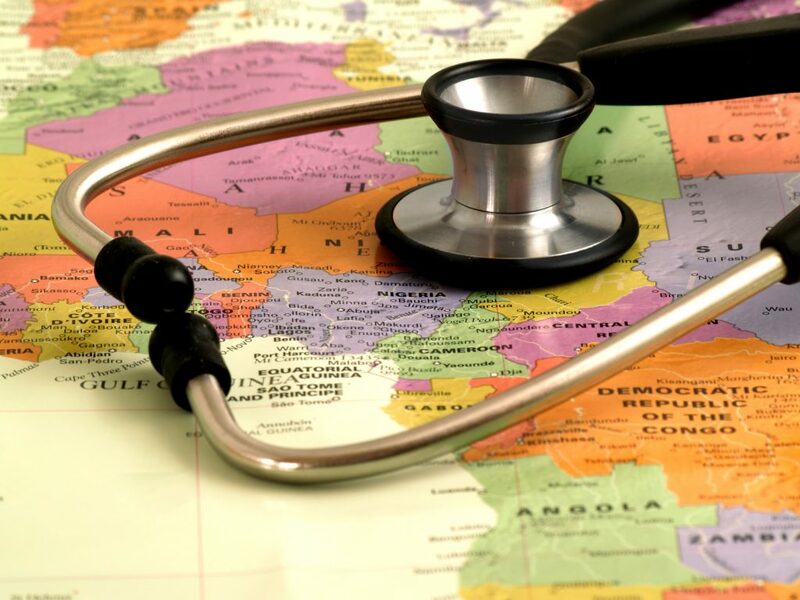 Given the growing global shortage of medical professionals — including physicians, nurses and other healthcare workers — many countries are actively recruiting from other nations, including the U.S. No matter how long you’ve been practicing in the U.S., it’s never too late to make a change and do medical work in another country, and this list will help you start thinking about your options. Deborah Swanson is a Coordinator for the Real Caregivers Program at allheart.com. A site dedicated to celebrating medical professionals and their journeys. She keeps busy interviewing caregivers and writing about them and loves gardening.